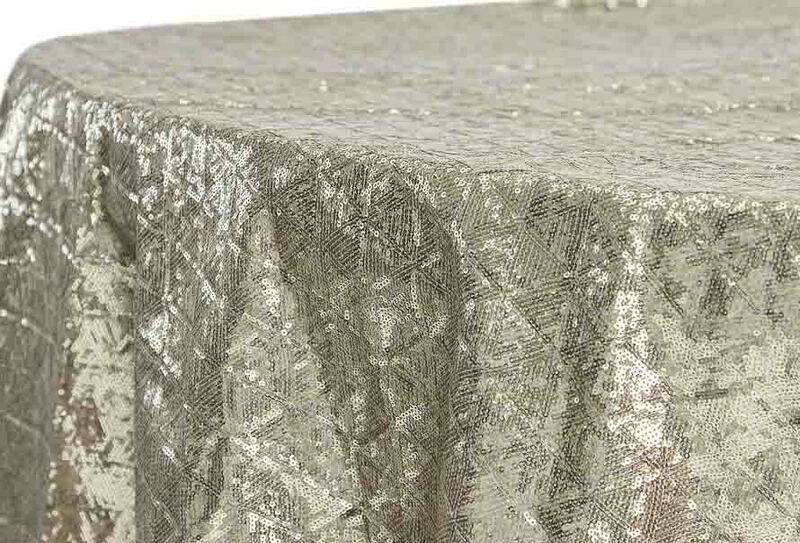 Rental Round Tablecloth Diamond Glitz Sequins 132 - Champagne in Houston TX and surroundings areas. Rental Round Tablecloth Diamond Glitz Sequins 132 - Champagne in Houston TX, for Wedding Ceremony, Wedding Reception, Corporate Events, Parties, Anniversary Celebrations,Engagement Party, Rehearsal Dinner, Birthday Party, Private Party, Baby Shower, Prom, Graduation, Quinceañera, Sweet 16, and all other special events. 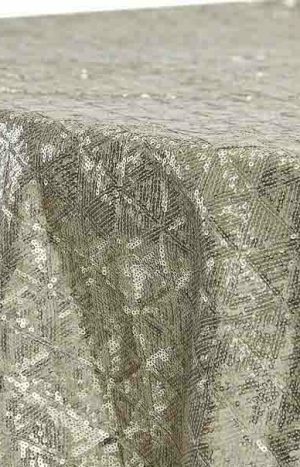 Our Round Tablecloth Diamond Glitz Sequins 132 - Champagne for rent are made from a high quality striped damask polyester material.